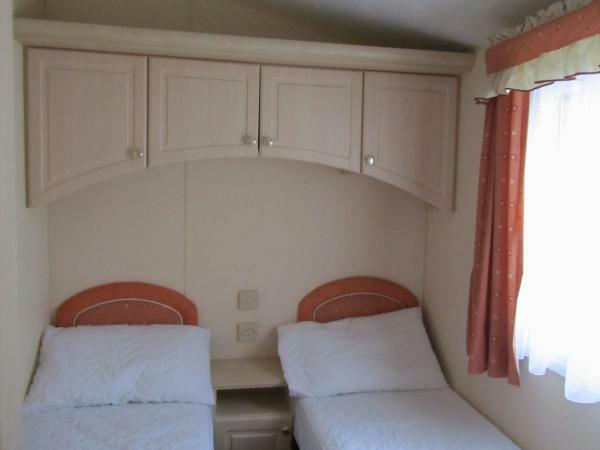 Holding deposit £50.00 which is returned after your holiday once caravan has been check it has been left clean as found with no damage or breakage.returned within 7 working days. 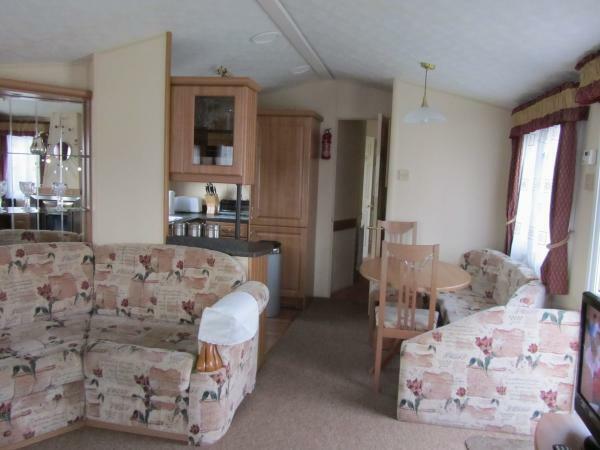 A family holiday park. 5* with huge indoor club house on site for all your family entertainment. 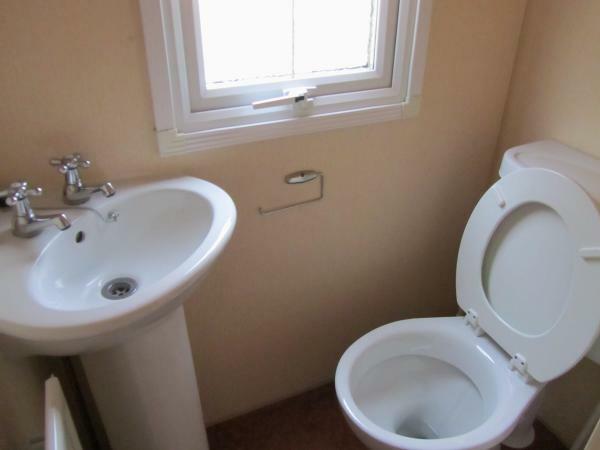 The cost to use this facility is £40.00 for a family of up to 6 persons including children and baby's. 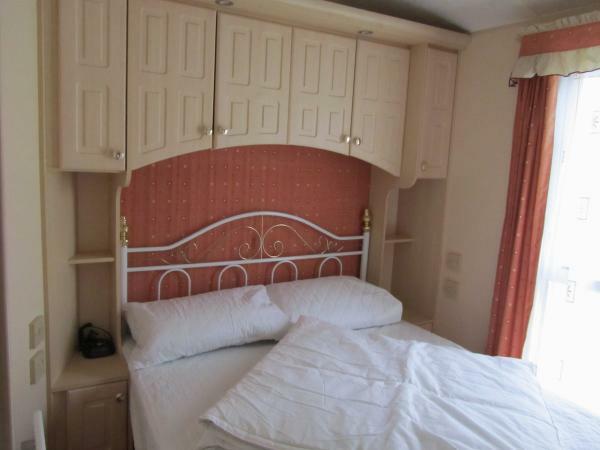 This privately owned pet friendly caravan providing high standard accommodation with everything you need for your stay. 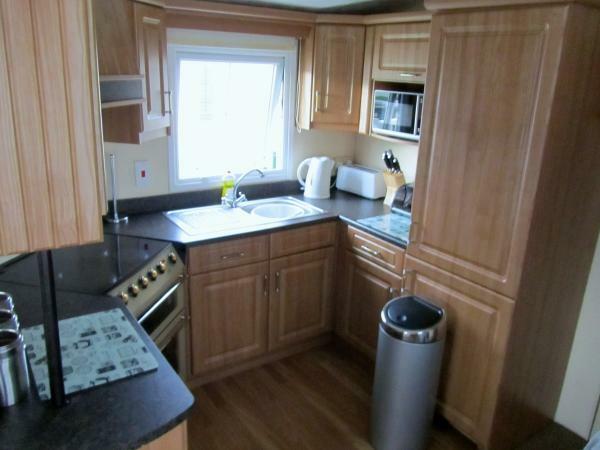 top range means central heating, double glazing, integral full size fridge/freezer. electric extractor in the kitchen, take out all cooking smells out. electric extractors in toilet & shower room, so you dont need to have windows open. ideal for cold weather. 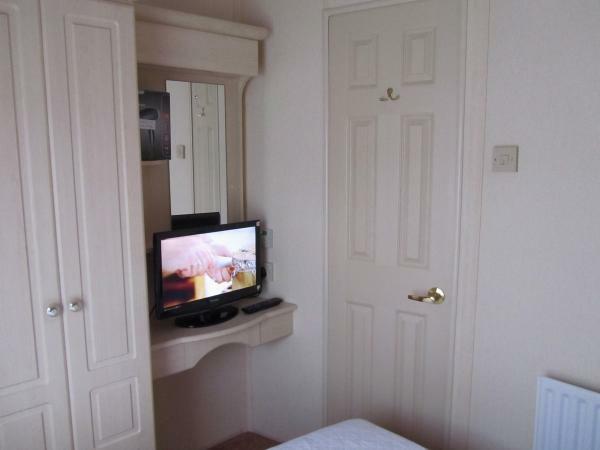 TV in main double bedroom. We cover the seating area and change cover on very visit. So fresh for every holiday makers arrival. 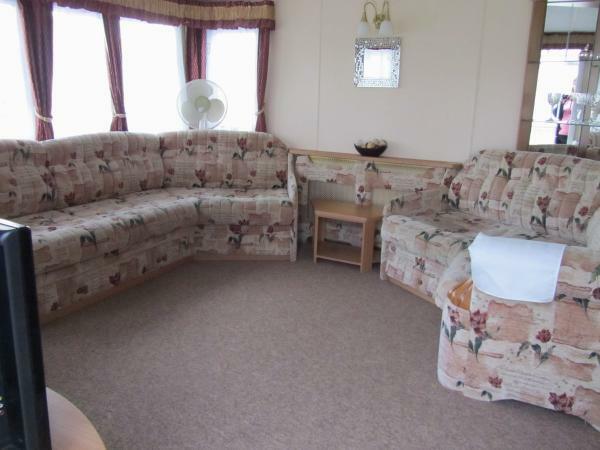 This caravans front room has a large seating area with large TV/DVD. 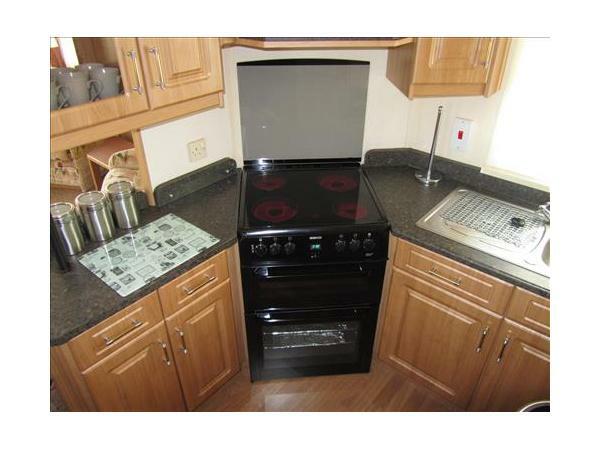 Fully equipped kitchen with all cooking facility's. Sun umbrella. hair dryer. Iron & ironing board. all because its top range. WE COVER THE SEATING AREA AND CHANGE THE COVERS ON EVERY BOOKING. KEEPS VAN CLEAN AND FRESH. 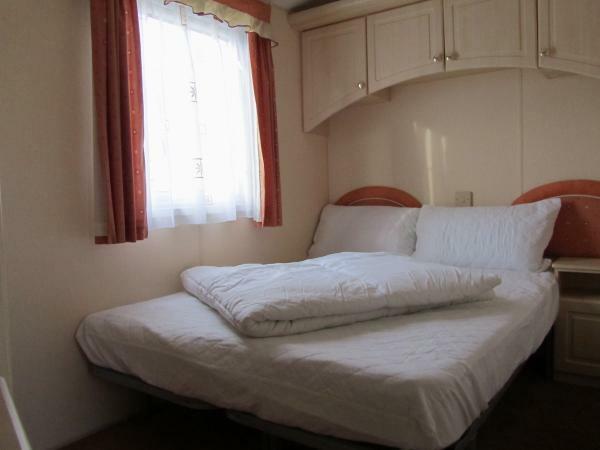 We provide bedding for each bed, you just need to bring linen cover. If you wish to hire the linen, price for the double bed is £12.00 and £10.00 for each single bed which are made up for your arrival. Free of charge: travel cots. High chairs & bed guards. 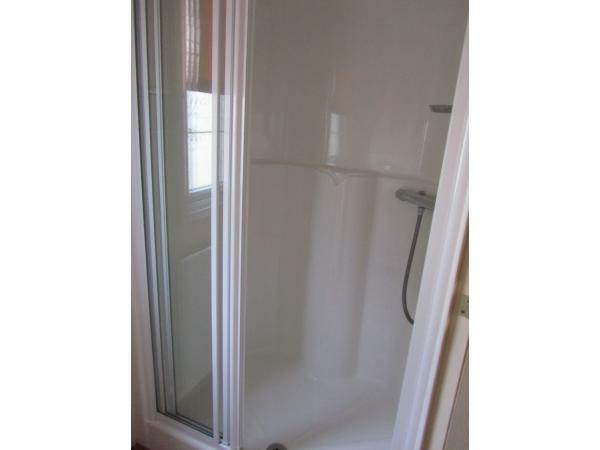 3 bedrooms with separate toilet and shower room. 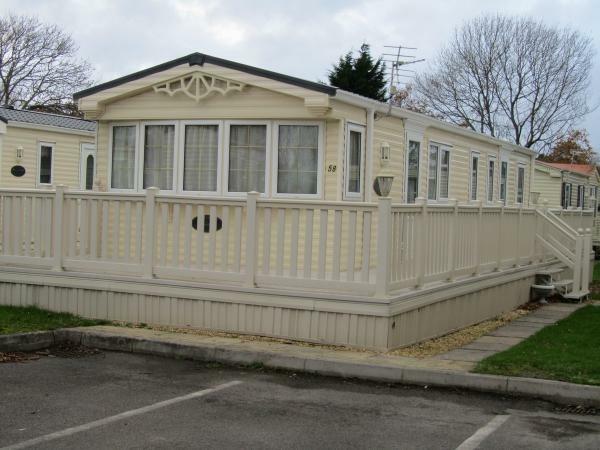 And large outside sundeck with table and chairs. 2 dogs allowed free of charge. parking is next to caravan if available. Park is next door to the beautiful new forest and only 25 mins drive from Paultons park. Sandy beaches are just a few mile down the road. Additional Info: Huge club house with 3 bars, restaurant and snack bar. entertainment rooms with nightly entertainment. outdoor swimming pool fully heated. outdoor huge paddling pool with huge patio seating area.indoor heated pool with children play water feature. Upstairs Gym. Sauna/solarium. outside play area with football field.Crazy golf. Tennis courts. 9 hole golf course. pet friendly area by swimming pool. And outside play area enclosure for dogs.